A German teenager who ran away to join ISIL forces and is now facing the death penalty in an Iraqi prison has been briefly reunited with her mother and sister for the first time in over a year. Seventeen-year-old Linda Wenzel went missing from her home in Pulsnitz, Saxony last year. She was found and detained in Mosul with three other women when Iraqi forces liberated the city in July. The moment she was dragged out of rubble was caught on camera and quickly spread on social media. 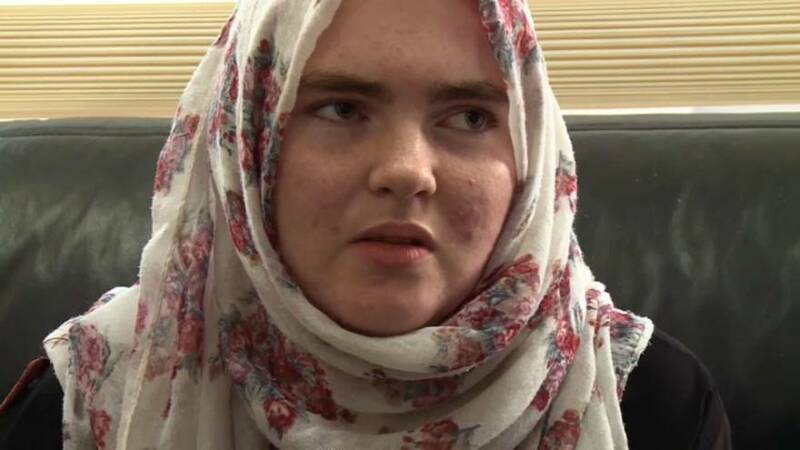 Wenzel first fled to Turkey then into Syria and Iraq, after being groomed online by a Chechen ISIL fighter who she married and who eventually died in battle. As she awaits trial in Baghdad, Wenzel was visited by her mother and sister and told German media that she regretted the decision to elope. "I don't know why I had this stupid idea to join ISIL. It spoilt my life," she said, holding on to a cuddly toy brought by her mother. There are currently no extradition agreements between Germany and Iraq. According to German media, at least six other German women, some with their children, are also waiting for trial in Iraq on suspicion of fighting for ISIL.